Vishu is also a day of feasting. The foods consist of equal proportions of salty, sweet, sour and bitter items. Feast items include Veppampoorasam (a bitter preparation of neem) and Mampazhapachadi (a sour mango soup).Feast items include Veppampoorasam, Mampazhappulissery, Vishu kanji and Vishu katta . 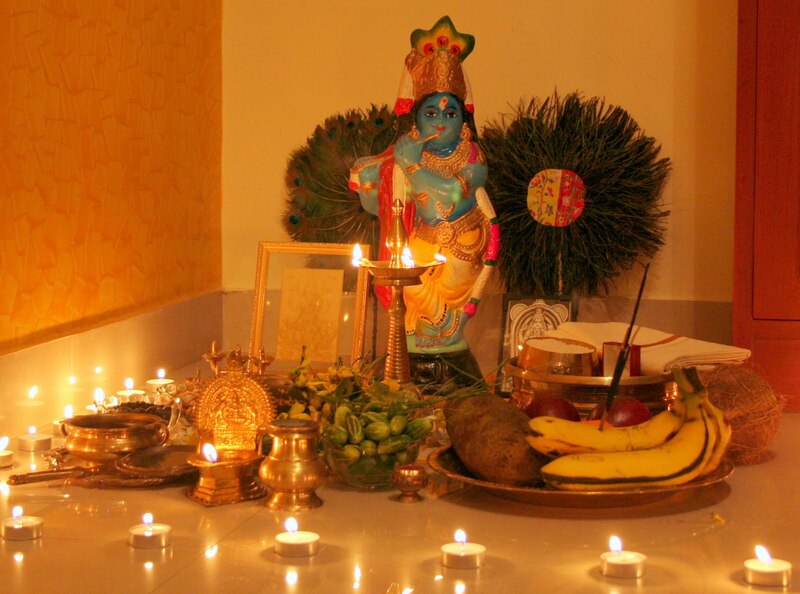 Vishu is also celebrated as Bisu in Mangalore and Udupi district of Karnataka, India. Vishu signifies the Hindu New Year and falls on the month of Medam in the Malayalam calendar, usually in the second week of April in the Gregorian calendar. The official date is set by the Indian National Calendar. 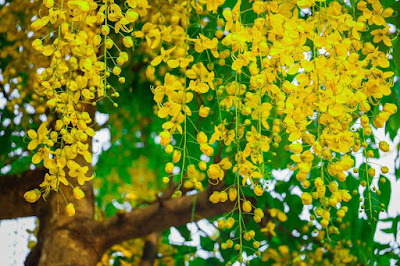 The most important event in Vishu is the Vishukkani, which literally means "the first thing seen on the day of Vishu after waking up". The Vishukkani consists of a ritual arrangement of auspicious articles intended to signify prosperity, including rice, fruits and vegetables, betel leaves, areca nut, metal mirror, yellow flowers called konna (Cassia fistula), holy texts and coins, all arranged around lord Krishna in an ambience lit by nilavilakku or tookkuvilakku (traditional oil lamps) usually in the prayer room of the house. This is arranged the night before Vishu and is the first sight seen on Vishu. On Vishu, devotees often visit temples like Sabarimala Ayyappan Temple or Guruvayur Sree Krishna temple to have a 'Vishukkani Kazhcha' (viewing) in the early hours of the day. It is said that Lord Sri Krishna killed the demon Narakasura on the Vishu day. Another interesting belief is related to the demon king Ravana. Ravana had never allowed Surya deva (Sun God) to rise straight from the East and after Ravana’s death, it was on a Vishu day, that Surya deva started to rise from the East. Hindus of Kerala and nearby places celebrate Vishu to commemorate the return of Surya deva. 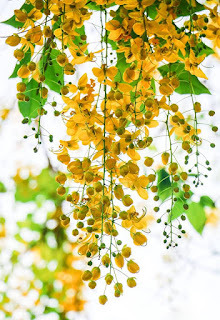 Vishu signifies the sun's transit into the Meda Raasi (first zodiac sign) according to Indian astrological calculations, and falls on the spring equinox. During the equinox, a day has an equal number of hours of daylight and darkness, which describes the origin of the word "Vishu" which in Sanskrit means "equal". Vishu is a festival, on which farmers in Kerala begins their agriculture activities.. These are arranged in a bell metal vessel called uruli in the puja room of the house. A lighted bell metal lamp called nilavilakku is also placed alongside. This is arranged the night before Vishu. 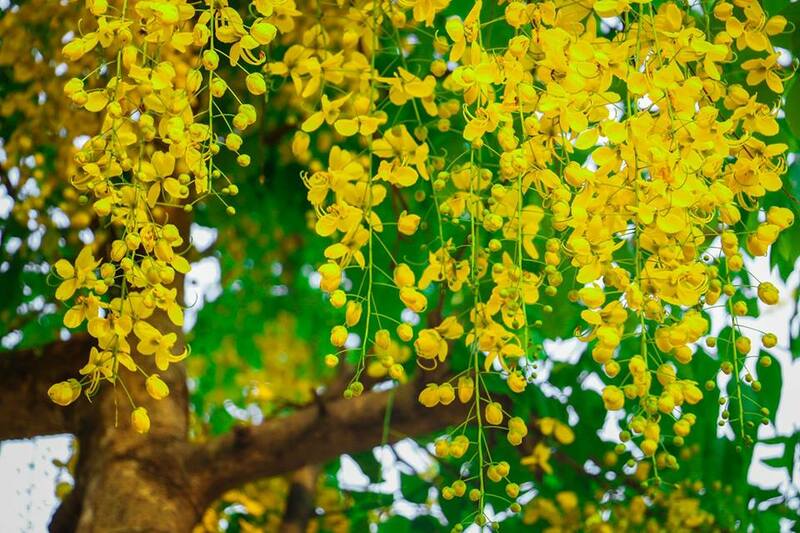 On Vishu, the custom is to wake up at dawn and go to the prayer room of the house, with eyes closed so that the Vishukkani is the first sight in the new season. Reading verses from the Hindu Holy book Ramayanam after seeing the Vishukkani is considered auspicious. It is also believed that the page of the Ramayanam which is opened up will have a bearing on one's life in the coming year.